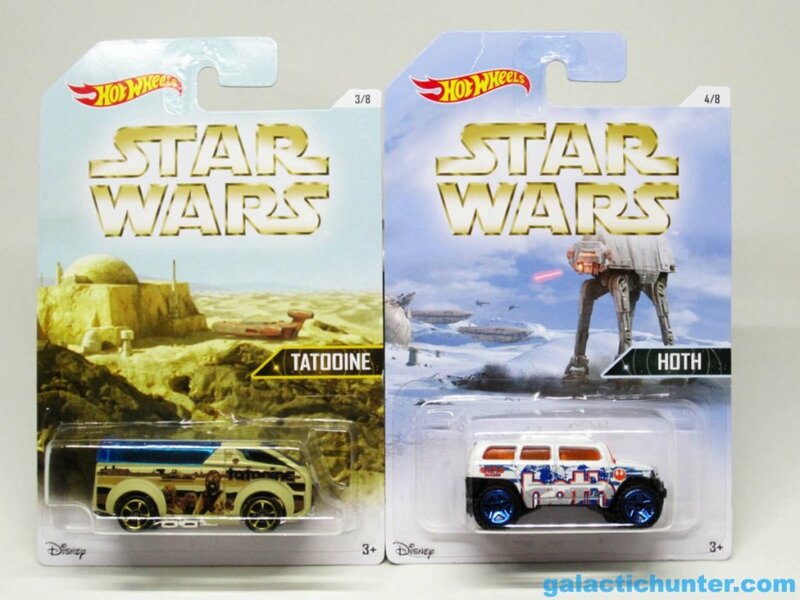 Hot Wheels! 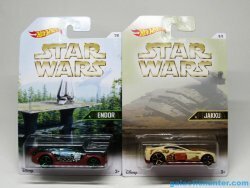 Walmart in the USA has a new exclusive assortment of cars for $0.97 a pop. This batch is based on planets. 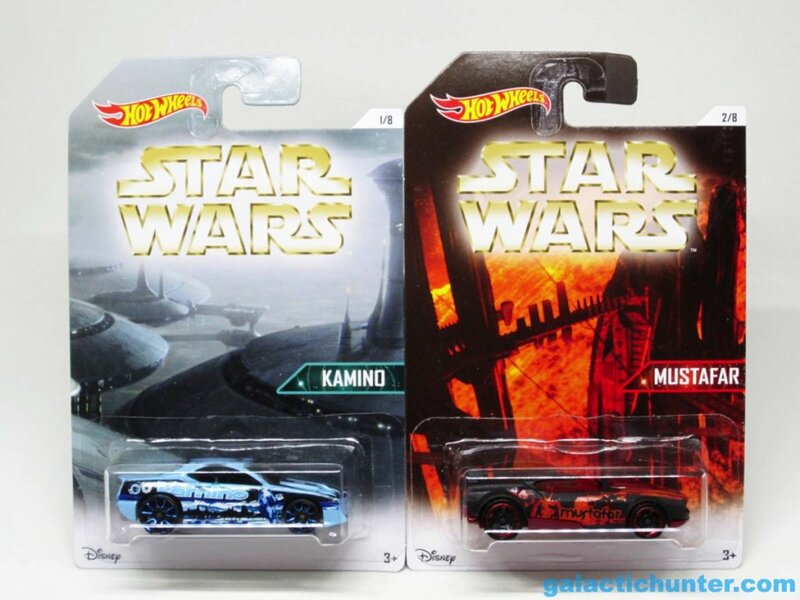 It’s the third “$1″ car batch, the previous two focused on episodes and factions. These are quite nice - while Rogue One iconography is nowhere to be seen, you’ll see some retro graphics on the side with touristy vistas, Tusken Raiders, AT-ATs, lightsaber duels, Cloud City, and more. You’ll even notice Rey on her speeder on the Jakku one. If you ever bought the old Burger King glasses, the art style is similar to those. So far Walmart’s have been the only Hot Wheels sets I’ve been all-in on, thanks to the lower price point and the creative designs. As a bonus, they all have distinctive card art. Get ‘em if you can find them! Designs include Kamino, Mustafar, Tatooine, Hoth, Dagobah, Bespin, Endor, and Jakku - and are numbered sequentially in order of appearance in the saga. 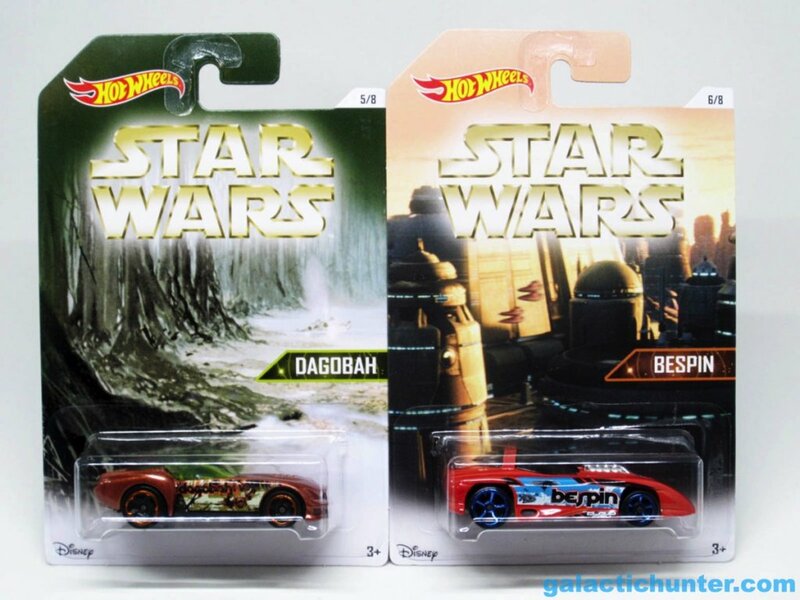 At this time I know of no Rogue One tie-in assortment, but we've still got a few more months.